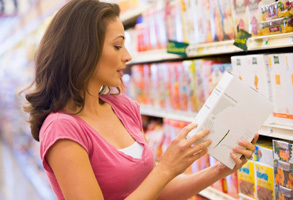 Food Standards Australia New Zealand (FSANZ) has called for submissions on draft food regulatory measures it has prepared after assessing an application made by the Australian Food and Grocery Council (AFGC) to delay the need to comply with higher qualifying criteria for nutrition content claims about dietary fibre. The AFGC had made an Application to delay the requirement to comply with the qualifying criteria in Standard 1.2.7 — Nutrition, Health and Related Claims for twelve months, from and including 18 January 2016 until and including 17 January 2017. Parties interested in making a submission can find more information on the FSANZ website at the ‘information for submitters’ page. All submissions on applications and proposals will be published on the FSANZ website. FSANZ said it would not publish material that is provided in-confidence, but will record that such information is held. In-confidence submissions may be subject to release under the provisions of the Freedom of Information Act 1991. Submissions will be published as soon as possible after the end of the public comment period. Where large numbers of documents are involved, FSANZ will make these available on CD, rather than on the website. Under section 114 of the FSANZ Act, certain information provided to FSANZ cannot be disclosed. More information about the disclosure of confidential commercial information is available on the FSANZ website at information for submitters. Submissions should be made in writing; be marked clearly with the word ‘Submission’ and quote the correct project number and name. While FSANZ accepts submissions in hard copy to its offices, the food regulator said it was more convenient and quicker to receive submissions electronically through the FSANZ website via the link on documents for public comment. Submissions can be emailed directly to submissions@foodstandards.gov.au. There is no need to send a hard copy of any submission if it has been submitted it by email or via the FSANZ website. FSANZ endeavours to formally acknowledge receipt of submissions within 3 business days.